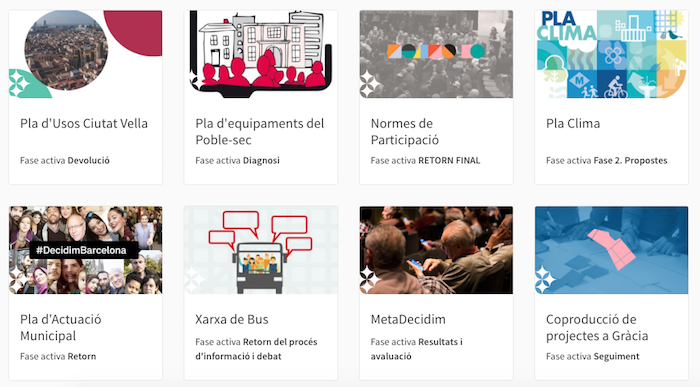 The word Decidim translated from Catalan means we decide, and it’s the name of Barcelona’s digital infrastructure for participatory democracy. One part functional database and one part political statement, organizers say Decidim is key to a broad digital transformation that is taking place in Barcelona — its institutions, markets, and economy. Organized by the Barcelona City Council, Barcelona’s citizens participate in a new digital commons, and its organizers hope that technology can improve democratic participation and foster good government. The open-source platform allows the public to participate directly in government as they would a form of social media, and they have had early success. The city council hosted several organizing events to decide on a strategic plan, and nearly 40,000 people and 1,500 organizations contributed 10,000 suggestions. Decidim was born when a young protest movement in Spain swept into power, according to Xabier Barandiaran, a project leader, who compares the fledgling political party to the Occupy movement in the U.S. Its leadership’s first goal was to create a platform for open strategic planning for the city. “People were in the streets and saying let’s participate in democracy, let’s write a strategic plan,” Barandiaran said. What developed was an open-source software that embodied the group’s transformation plan, a digital common where citizens can have a say in government — the code is available on Github. “We decided how we would decide,” he said. The leadership is still hosting public meetings once a month as well as large conferences — the next one is on October 26-28. I spoke with Barandiaran about Decidim and its origins. Here’s an excerpt from our conversation. Decidim is open-source software. But that’s not the only way the software is democratic. Decisions about the software are made democratically — it was built democratically. But there must be barriers for people who don’t have access or technological experience. How do you address that? This is a very common worry. But the digital divide is no bigger than other barriers or gaps. Like the precariousness gap — people don’t have time to show up to a meeting, or they are have to combine different low paid jobs and are too busy to participate. The cultural gap, people need sufficient information and knowledge so that people can think of better policies. Or the gender gap — women are excluded from public participation. There are many gaps and the digital gap is the smallest of all the gaps. There’s a video circulating online of you discussing Decidim in which you say that representative democracy is in crisis and “the political system that hasn’t changed in 200 years. Youth were living in a precarious situation and change had to happen.” What was the experience of being a young person in Barcelona and how Decidim is addressing issues? 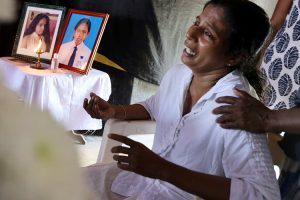 We suffered (and we are still suffering) an economic crisis, but it is also, and perhaps more importantly, a political crisis. It was easy to see that it was coming. There was a lot of speculation of housing, and a very suspicious collaboration between political parties and the banks. Many of us could see it coming. It was going to explode. There was a big gap between the rich and the poor and that could only be filled with debt, but debt has a limit. There are physical limits in terms of time (you can’t pay a mortgage for more than 50 years) and the kind of jobs that were created where far from sustainable. It is regular people who paid for the foreseeable catastrophe and the existing democracy did not protect their basic rights. It was a failure of democracy altogether. Kevin Stark is a journalist with Chicago’s Data Reporting Lab. His focus is environment, energy, and climate change, and he has written about sea level rise, industrial pollution, environmental justice, global climate research, and housing policy.